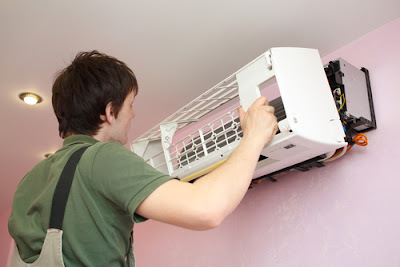 When you get a new aircon in your home, then you need to do the aircon installation in a proper manner to get the right kind cooling and comfort in your home. In order to do the aircon installation in the best possible manner, there are few things that you should know to get the best outcome. 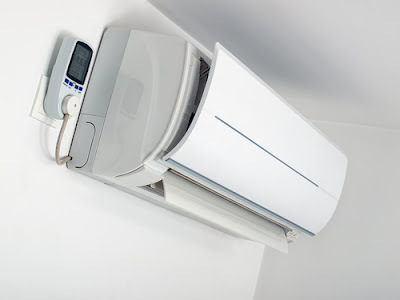 If you are well aware of those things, then you can go ahead and do the installation, but if you are not then here I am sharing those things with you that you should need before you plan your aircon installation. Wall strength: When you do the aircon installation then you get your aircon in two parts. One is the outdoor unit and another one is the indoor unit. In the outdoor unit, you will always find a place that is safe and sound, but you need to do the same for the indoor unit as well. If you will hang your indoor unit on a wall that is not strong enough to hold the weight of the indoor unit, then it might come down along with your wall. So, before you go ahead with the aircon installation, make sure you check the strength of your wall to get the right information. Spacing between wall and AC: In your aircon installation, you need to keep an eye between the wall and AC unit space as well. In an indoor AC unit, you need to give at least 15 centimetres of space for proper air flow in its surrounding. Hence, at the time of aircon installation, make sure you choose a place that is at lease 15 CM away from the top or any corner of the walls. That will help you get proper cooling without putting a lot of load on your aircon. 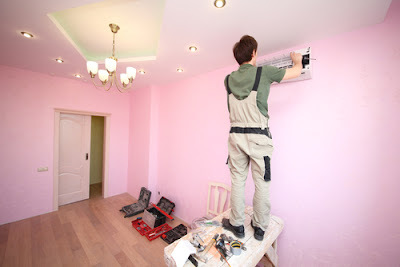 Right height for installation: For better comfort from your aircon, you also need to pay minute attention to the height of aircon installation. In a good situation, your indoor unit should be mounted at the height of 7 to 8 feet from the ground. If you will mount it any higher than that, then you would not be getting any good outcome and same is the case for lower size as well. As science says, cool air always remains on the lower side and warm air goes up. So, this height would be perfect for you. Correct tilting angle: All the indoor aircon units look straight or exactly parallel from the surface, but that is not true. In aircon installation, the brackets that hold the unit are given a tilt angle. That tilting is very minor, but they do give this slight tilt to make sure you get an unrestricted flow of condensed water from your aircon unit. If you won’t have that tilt angle, then water will remain in your drain pipes and you will not be able to get any good result. Outdoor unit place selection: This is really important that you mount your indoor and outdoor unit in a wise manner. For better result you should mount both the units away from direct sunlight and water. Also, the outdoor unit of your aircon should be installed in open places so its exhausted heat will not affect the cooling. That means you should not have any obstruction in front of the outdoor unit and if possible you should have a shade on top of your outdoor aircon unit. These simple suggestions will not only increase the cooling, but that will also reduce your electricity bill. Proper placement of outdoor unit: In addition to proper place selection proper placement is also very important for outdoor unit. It must be there in a place that is properly flat. If you will not place it on a completely flat surface, then it will vibrate a lot and that will affect the compressor and other parts of your aircon. This excessive vibration can cause damage to your coolant pipe, compressor, and other things. Also, it will make a lot of noise that will disturb you and your neighbour both. Distance between units: Many people may not know that right distance between your indoor and outdoor unit also plays a major role in the cooling. The coolant keep flowing between your indoor and outdoor unit and that coolant remain there at a very low temperature. The effect of cooling is inversely proportional to the distance of indoor and outdoor unit. If you will have outdoor unit at a large distance, then a lot of cooling will be lost and you will have lack of cooling. So, you should try to reduce this distance as much as possible. In an ideal situation, the maximum distance between indoor and outdoor unit should be 15 meters most that too by the copper pipe that you are using for coolant flow. Sealing of your room: in your aircon installation you should also check the sealing of your room. If you r room is leaking some cold air, then you would not get the essential cooling from it. That is why you should try to reduce this kind of leaking and you should have a properly sealed room before aircon installation. If needed, you can call some expert that can do the work for you to seal of the leakage. Once you will do that, then you will get good results as well. So, keep that thing also in your mind for a better result from your aircon installation. In addition to this, the size of room also plays a major role in the aircon installation and it cooling effect. If you have a very big room, then you will need more electricity and more capacity to cool the room. For that situation, you can try to reduce the size of the room by using false ceiling and similar other options. Other than this, you should also pay proper attention on the voltage and if you have any kind of voltage issues in your home, then you should install a voltage stabilizer as well along with the aircon installation.